FREETOWN, Nov 6 2012 (IPS) - Only 38 women – of a total of 586 candidates – will contest parliamentary seats in Sierra Leone’s November elections, and the blame for this can be laid squarely on the shoulders of the current group of female lawmakers, according to Barbara Bangura, the director of the women’s organisation Grassroots Empowerment for Self Reliance. The Nov. 17 elections will only be this West African nation’s third election since the civil war ended here in 2002. And while the country will see its first female vice presidential candidate, Kadi Sesay from the opposition Sierra Leone People’s Party (SLPP), run for office, there are not many women joining her in the race for parliament. There is no female presidential candidate. But in addition to the dismal number of candidates running for seats in the legislature, there are only 337 women out of 1,283 candidates for local council elections. Bangura points an accusing finger at the current crop of female parliamentarians who, she says, are to blame for the failure of parliament to pass the Gender Equality Bill that would have provided for a 30 percent representation of women in the legislature. Bangura, one of the leading women’s activists pushing for the enactment of the bill, has squarely laid the blame on the Women’s Parliamentary Caucus. Women from the caucus were meant to champion and table the bill and lobby their colleagues for its enactment. But they did not succeed, because of what the activist calls a lack of interest on their part. “We had to be hard on their heels, they did not show enough interest in pushing the bill forward and also getting their parties to support it. Now many of them are not going back to parliament, as they have not retained their seats. I hope they have learned their lesson,” Bangura told IPS. Banging away on her laptop in the Women’s Situation Room – a room in the country’s capital Freetown where non-partisan women sit, receive and analyse information before the elections – Bangura explained to IPS that there was controversy among the female parliamentarians over which institution would monitor the implementation of the bill when it was enacted into law. The chairwoman of the Women’s Parliamentary Caucus and member of the ruling All People’s Congress (APC), Marie Yansaneh, told IPS that there was indeed confusion about which institution would monitor the implementation of the bill, resulting in the bill not being finalised before the five-year parliamentary session ended on Sep. 25. One school of thought said it should be a Gender Equality Commission, while another was calling for the creation of a specific Women’s Commission to monitor implementation. “None of these proposed institutions had even been set up, so we lost time. And then these female parliamentarians had to go into their various constituencies to campaign, so there was no time for the bill. So that was the end of the matter. As far as we know the bill is still sitting in the Office of the Attorney General and was never tabled in parliament,” said Bangura. Effective political participation by women remains abysmally low in this country of 5.9 million people. Before parliament closed, just 17 out of the 124 parliamentarians were women. Women make up 18.9 percent of female councillors in the local government – none at the level of chairwoman – and they comprise less than 10 percent of top civil service positions. The public information officer of the Human Rights Commission (HRCSL), Henry Sheku, told IPS that the enactment of the Gender Equality Bill would have affected the development of the country. “There is a whole raft of women with the appropriate skills and experience to take on leadership roles, and the confidence to do so. But because of a bad system these women have been deliberately marginalised,” he said. However, Navo Kai-Kai from the SLPP told IPS that there were other pressing reasons for the decreased number of women contesting high political positions this election. 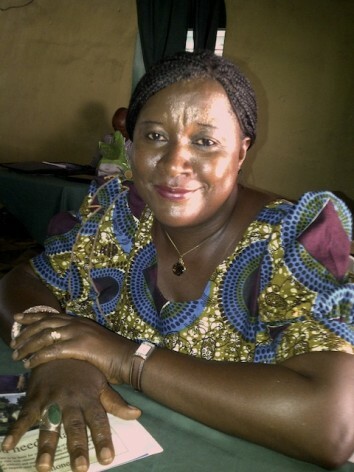 Kai-Kai has claimed that her male opponent from the SLPP, who was also contesting the post of chair of the Kailahun District Council, had intimidated her after he lost the party primaries to her. “There was serious intimidation; my male opponent came out with his secret societies during our party primaries so I had to leave my district in Kailahun, east of the country, escorted by the police to Kenema district, for fear of my life. As a result I was unable to contest for the party symbols and lost to my male opponent,” Kai-Kai said. The endorsement of candidates by political parties to contest elections in Sierra Leone is called “getting the party symbol”. A number of women also dropped out of contesting the elections when the country’s National Electoral Commission (NEC) increased nomination fees. “I withdrew from nominations immediately when the NEC announced increased nomination fees. I know it will be difficult for me to get that kind of money and my party will not help, so I lost my opportunity because of money and the lack of support,” Memuna Sapateh, a candidate representing the Peoples Liberation Party, told IPS. The nomination fees were increased from one million Leones (250 dollars) to one hundred million (about 250,000 dollars) for presidential candidates, and from 100,000 Leones (25 dollars) to one million Leones (250 dollars) for parliamentary and city councillor positions. The dramatic increase in fees met with stiff opposition from civil society groups and the majority of the nine registered political parties. Parliament approved the NEC’s decision to raise the nomination fees, and the new fees came into effect on Sept. 10. Only after political parties threatened to boycott the elections did the government allow candidates to revert to the fee rate from the 2007 elections. Instead, the government announced that it would pay the difference in the fees to the NEC. But Bangura’s accusing finger still points to the female parliamentarians. “Yes there were challenges for the women, the finances to run elections, the patriarchal political system, the sudden increase in the nomination fees,” she agreed. Sheku said that the HRCSL would be focusing on pushing strongly for the passage of the Gender Equality Bill as soon as a new government took office.